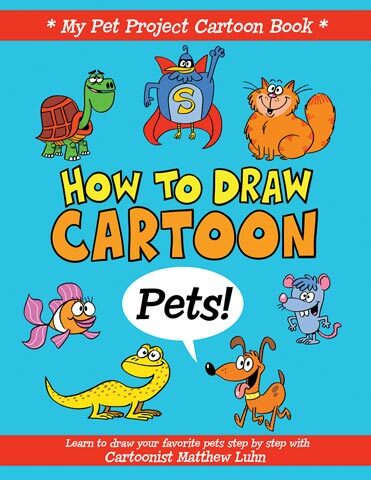 This book, written by Pixar Animator Matthew Luhn, includes eight sections of step-by-step instruction on how to draw cartoon pets and on scene creation. Kids will learn how to draw cats, birds, reptiles, farm animals and more. Made in the USA. 76 pages. Ages 7 and up.